Naturally, many will immediately compare this final table to 2009 and find it wanting. That table featured a legendary appearance by perhaps poker's biggest star in Phil Ivey, who finished seventh. Indeed, the nearly 40 big blinds Cada totes into the final table represent one of the higher points of his journey. 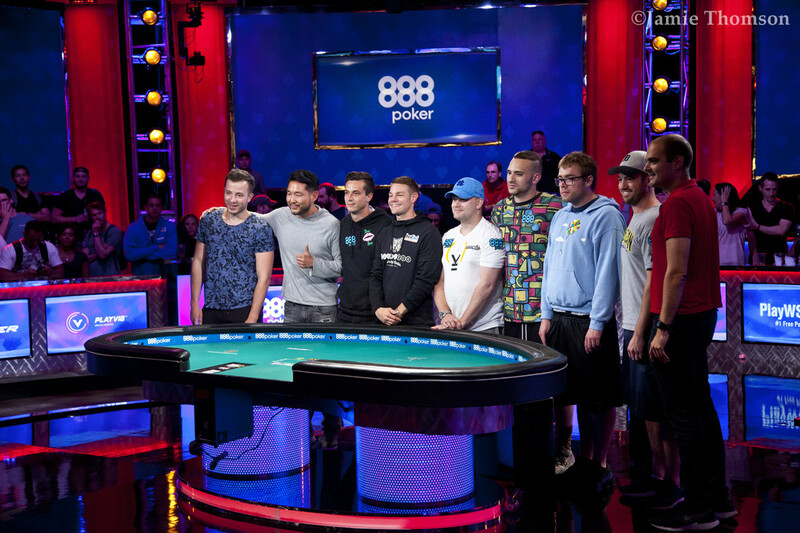 He had to earn them as well, showing off his mettle with a steely all-in bluff against Alex Lynskey when 12 players remained. Cada three-barreled a king-high board with an unpaired ace-six and got Lynskey to let go of king-nine. He also four-bet jammed pocket fives for almost 50 big blinds against Antoine Labat with 10 players left. From under the gun, Manion opened for 1.5 million at 300,000/600,000/100,000 and got called by Labat. Yueqi Zhu then shoved from the hijack for 24.7 million and Manion moved in himself for 43.1 million since he held aces. Labat, who covered Manion, tanked awhile and then called. Manion found himself in the most dream scenario possible when both opponents held pocket kings. Now, he's chip leader of the Main Event with nine players left, but to hear him tell it, he doesn't much care. He's planning for more of the same both in this tournament and in life in general, no matter the result. "That will not affect my play at all," he said. "I’m still gonna stick to my game plan of playing the hands that I’m dealt and trying to just chip up and win the pots that I’m entering in." Notable pros Lynskey and Artem Metalidi remain. 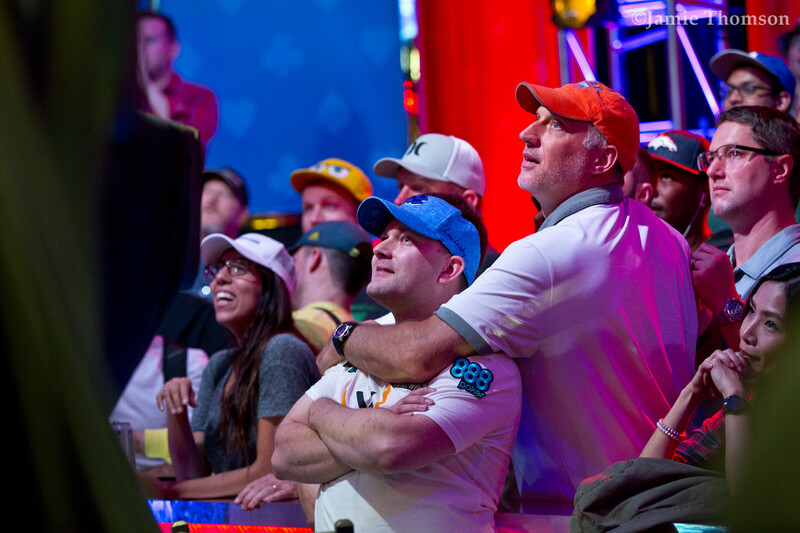 Poker fans tuning in to the cards-up feeds on PokerGO and ESPN have also seen less well-known names Tony Miles, John Cynn, Aram Zobian, Dyer and Labat earn their way to the final nine with skillful play in their own rights. Each player has his own story worth telling, documented here on PokerNews in the final table profiles. Each player's journey to this point can also be seen in this chart. 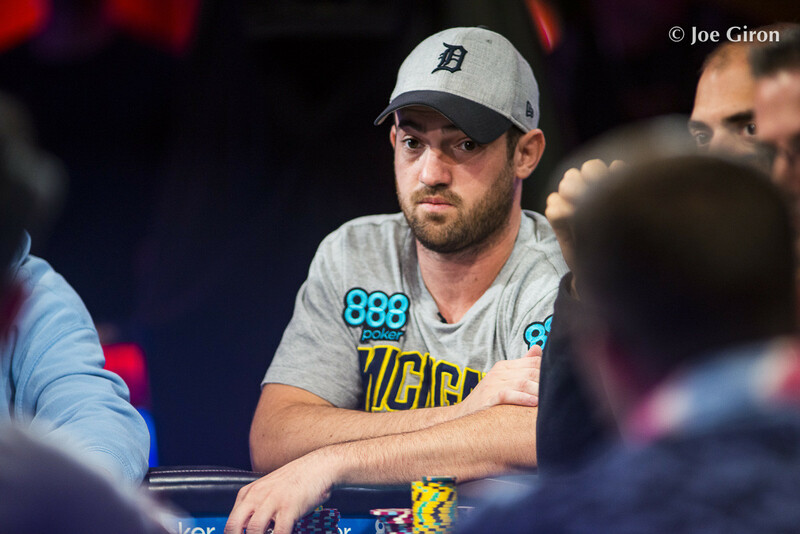 But while each player merits his own time in the spotlight, the eyes of the poker world will be fixed squarely on Joe Cada come Thursday evening. While Cada had to wait several long months back in 2009, the format change back to a Main Event that finishes in the summer means success or failure will come much sooner this time. He said he welcomes the shift. "I'd rather just get this thing over with and see where it lies," he said. "The three months...you toss and turn a lot thinking about where it's going to end." With a final table that starts at 5:30 p.m. local time on Thursday, there's plenty of time for Cada to prepare. He could schedule a session with a revered poker coach. He could make sure his body and mind are ready with exercise or meditation. 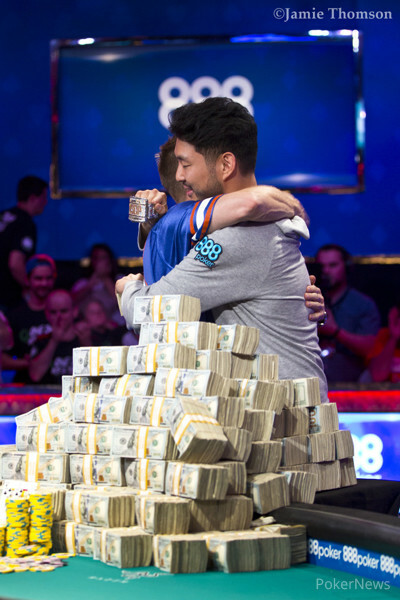 Whether it's the experience of having been here before, the financial security of having already won millions in poker or just his natural way of going about things, Cada seems anything but hyped. He spoke calmly in the aftermath of the final elimination, casually outlining his simple plan. 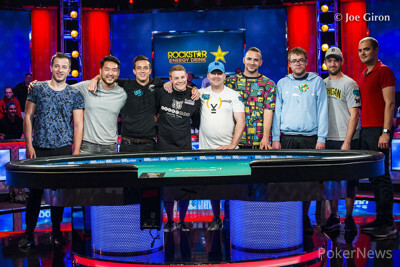 The 2018 WSOP Main Event final table.